… your hub for all things botany related in Pennsylvania! This web site is the product of individuals from a variety of Pennsylvania botanical institutions and plant conservation organizations who have come together to provide funding, content, and support for a much-needed hub for botanical communication, training, and news in the commonwealth. On this site, you will find information about the biennial Pennsylvania Botany Symposium, Pennsylvania botany workshops, the annual Pennsylvania Rare Plant Forum, and more! 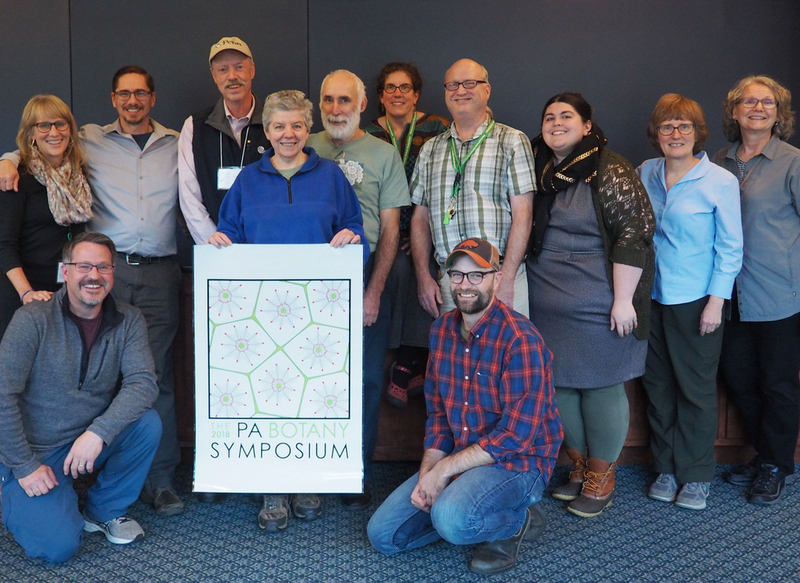 The folks behind this web site, and the events highlighted here, are botanists from throughout Pennsylvania, hailing from a variety of backgrounds (see right column). This is a non-commercial effort and all persons associated with this web site are volunteering time to help organize professional activities and networking opportunities for botanists working in Pennsylvania and the region. If you would like to be added to our private list serve, volunteer your services, offer financial assistance, or just communicate with us about this web site, please contact our web site administrator. 2016 Pennsylvania Botany Symposium COOL PLANT FINDS slide show is playing here. The first-ever STUDENT POSTER WINNERS at the 2016 Symposium are named here. You’ll also find a list of all submitted 2016 student poster abstracts here.